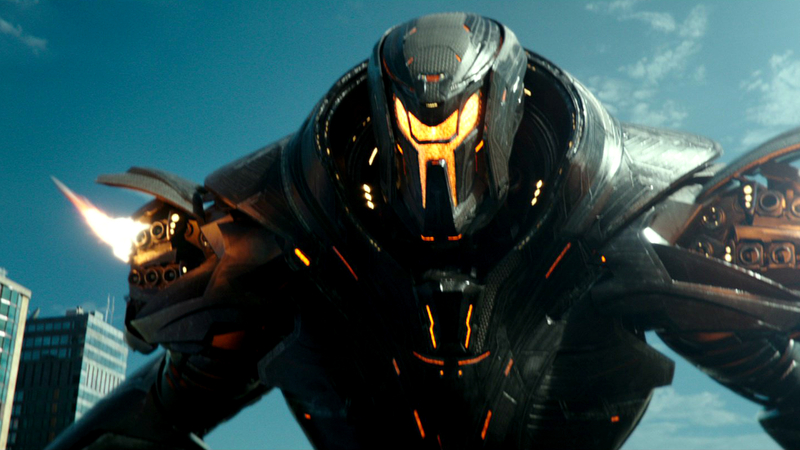 Pacific Rim: Uprising opened last weekend with some monumental footsteps to fill. The first Pacific Rim was an unfettered celebration of the venerable genre of mecha. Its sequel takes the same tropes and trappings and alloys them with narrative influences less common in the genre. While this has left some fans hesitant (especially with Guillermo Del Toro handing over directorial reins to Steven DeKnight) the end result is a logical, if not quite natural progression in narrative. This review includes minor spoilers relevant to plot. Proceed at your own peril. Uprising picks up ten years after the events of the first installment. During this time, humanity has made progress in picking up the pieces from the war against the alien Precursors. 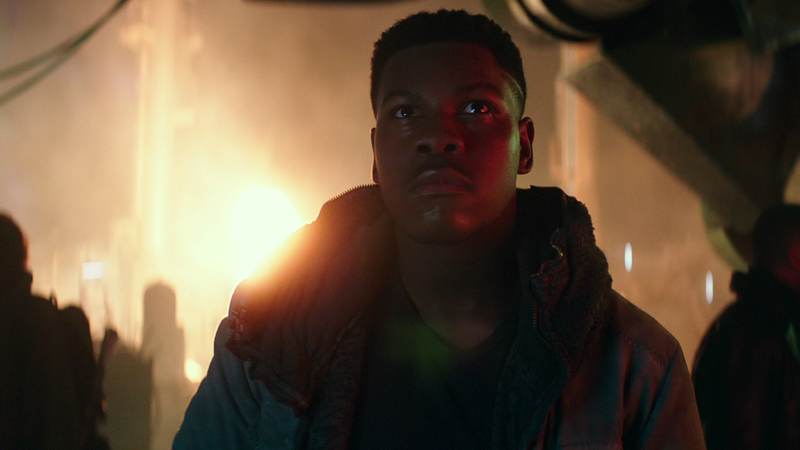 Jake Pentecost (John Boyega)—son of Marshal Stacker Pentecost, Canceler of the Apocalypse—is in the business of salvaging the rarest pieces of all: parts from decommissioned jaegers. 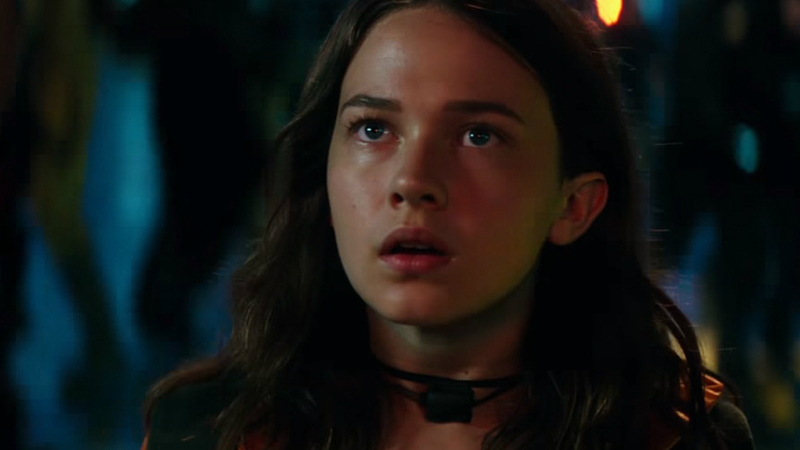 One of Jake’s heists goes bad when another salvager, Amara Namani (Cailee Spaeny) steals the piece he had his sights on. He tracks her to her headquarters, where she’s building a miniature jaeger from scratch. He is followed in turn by the Pan Pacific Defense Corps. After a brief jaeger-versus-jaeger scuffle, the PPDC detain the two. Rather than being sanctioned, they are persuaded to join the Corps by now-Secretary General Mako Mori (Rinko Kikuchi). Pentecost as a ranger; Namani as a recruit. It’s here that strands of the wider plot are pulled together. Pentecost and Namani face their personal struggles as a general pallor looms over the Corps. The jaeger pilot program faces possible redundancy if tech mogul Liwen Shao (Jing Tian) succeeds in lobbying for the deployment of her company’s unmanned jaeger drones. At the summit meant to decide the matter, a rogue jaeger shows up and wreaks havoc—and the Corps must scramble to unmask their new foe. The movie’s plot is what one would expect from a follow-up to Pacific Rim. It’s not especially complex or sophisticated, but it manages to engage and entertain. It provides ample opportunity for spectacle; including what many fans had no doubt been dreaming of: jaeger-on-jaeger combat. It’s fanservice, of course. But it’s right at home in the series, which lives on its deployment of genre tropes and staples. More than that, however, it’s key to the motifs that set Uprising apart from the first movie. In the wake of the war against the Precursors, humanity has become its own enemy. The idea of strength turned against itself runs through the whole story; from Jake Pentecost’s struggle with his father’s legacy to the tension between the jaeger pilots and the drones that threaten to supplant them. This unfolds against a backdrop typical of a war-torn society: various factions vie for the vacuums of power; corporate clout contests government will; technological progress overshadows human endeavor. The villain—disenfranchised by war and supremely desperate—is one of the movie’s most interesting points. And while all these are nothing new in themselves, it’s interesting to see them play out in the oversized trappings of giant robots. Unfortunately, interesting is about as far as the movie goes. Even at its most hyperbolic moments—and the power levels are turned up here—the movie never reaches the curb-stomping intensity of the first movie. The fault lies in the franchise’s single biggest draw: its fights. The first Pacific Rim had battles that played out like expertly choreographed wrestling matches. Each side trade blows to get the measure of each other, before unleashing a signature technique—often with devastating payoff or game-changing consequences. Think of Otachi’s headshot against Crimson Typhoon, or the almost fight-deciding impact of Leatherback’s EMP. These moves—and the jaegers’ equally visceral counterattacks—let the fights wear down both sides even as the stakes kept soaring. In Uprising, signature weapons are mainly a cosmetic affair. Whether its Bracer Phoenix’s heavy flail or Saber Athena’s eponymous blades, the result is the same: a minor blow scored against the enemy. Similarly, their opponents’ abilities never force them to change tactics, though they sometimes give the illusion of doing so. Rather, each exchange feels like more of the same, just with different lights and sounds. In the genre of mecha, the spectacle of combat carries the symbolic weight of all that hangs in the balance—and Uprising’s lackluster melees are a disservice to the world built around them. The same world whose fate they are meant to decide. 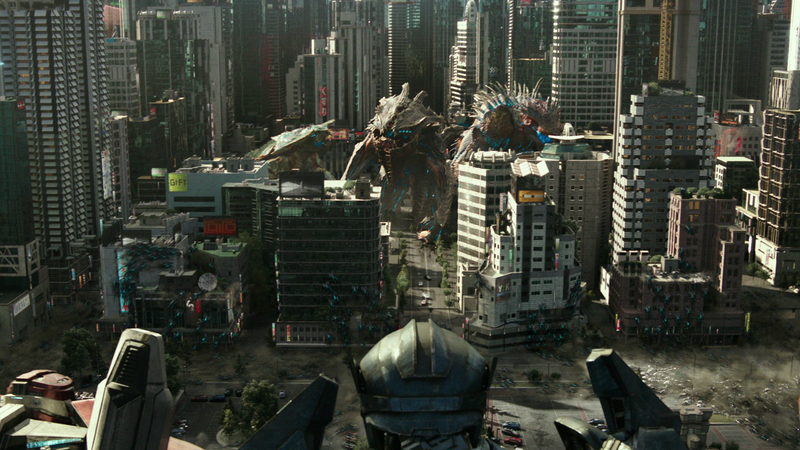 The lack of showmanship might have been bearable in another series, but it is not so in Pacific Rim. Overall, the movie does a decent job of entertaining while building on its predecessor’s story. But for fans, the series’ imperative, though simple, is stringent: go big or go extinct. And in an arena made to contain calamities, Uprising is a non-event. Have you seen Pacific Rim: Uprising and what did you think of it? We’d love to hear your thoughts.